Lightning fast, powerful and providing plenty of snap, the 14" Remo Controlled Sound Coated Drum Head, as the name suggests is designed to keep resonance at a low level. The result of this, is a decay as quick as it's attack. That fat, punchy sound that you associate with rock and pop is easily achieved and the coating adds additional strength and tonal complexity. Once tuned to your liking, these remarkable heads will perform with relentless quality and with a response that will make them an absolute pleasure to play. 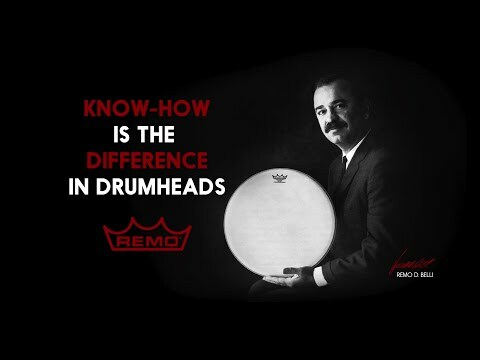 The Controlled Sound Coated Drum Head is brought to you by Remo, one of the worlds leaders in quality drum skin manufacturing.